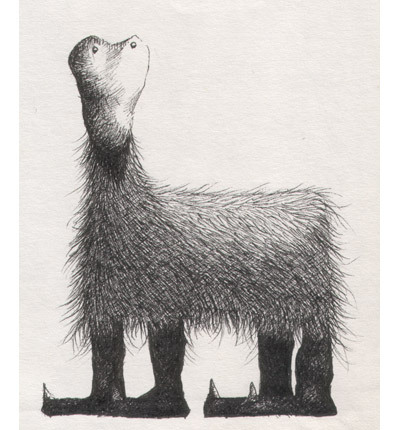 Four-legged monster with a long face and high set eyes, fine body hair and spikes on feet. Why not have a wee chat with the monster. What do they have to tell you?